> We got the all clear! Marta‘s cultures are all clear! We have an embassy date of next Wednesday, July 8th (my brother’s 50th bday!)! Natalie called this morning, early, right after Belay emailed her to say that the final report is in, it’s all clear and the embassy will have the papers for Wednesday and we are good to travel. I started to cry, because I’m a dork. I couldn’t help it and didn’t expect to. We travel today to go home, to do the final whirlwind of prep to leave for Ethiopia! We go to bring home our new daughter and become a family of ten. It’s a good thing Coffeedad was right there and heard it all too as I keep having to double check to make sure it’s real…it feels almost surreal. And to all of you, every one, for your prayers and support and, everything….and now I’m starting to cry again, so I’d better go pack. We are going, to Addis Ababa. This entry was posted in adoption process, adoption travel by coffeemom. Bookmark the permalink. >What amazing fantastic news. I'm so happy for you and your family. I can't wait to see the pic of you all together. Love is in the air.YEAYYYYYYYYYYYYYYYY. >Yay! Yay! Yay! Tolo! Tolo! Tolo!!! At long last! >TOLO!!!!!!! !Hooray for everyone! Life is grand! >Woo Hoo! You don't know me, I've been following along since you guys got held up, with interest since we are moving ahead in the same direction, and so also with tremendous support and best wishes for you.What a wonderful relief – deepest congratulations. >Such great news. You waited so long to hear. Congrats!!! >I must be a dork too because I am crying!! CONGRATULATIONS!!!!!!!!!!!!!!!!!!!!!!! Have a safe journey! >Congratulations! Praying for safe travels! >Praise God from whom all blessings flow….Absolutely thrilled! !Cannot wait for you to be with Marta.Take care friends, we will be thinking of you all. >Thank God! I am so happy for you. I can't wait to see Marta with the rest of your beautiful family! >Michele, I'm So OVERJOYED for you and Marta and your family!!!!! Congratulations!!!! !GO GET YOUR GIRL!!!!!!! YAAYYYYY!!!!!! >so happy for you guys!!! >WAHOO!! We are thrilled for you guys! This is such great news!Yay! >Praise God! 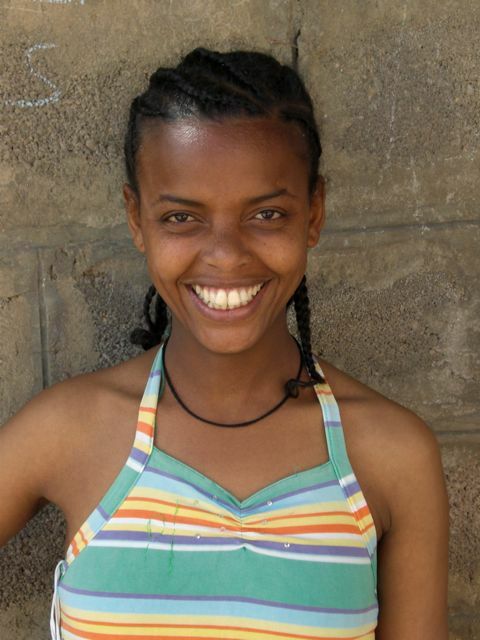 Look forward to seeing you in Ethiopia! >Tolo, tolo, tolo!!!!! !Thanks for taking a moment and sharing your joy! You just made my day!Yay for all 10 of you! Yay for Marta!Congratulations! >TAKE THAT CDC!!!!! :). love love love love you!!!!!!! >TOLO! I love it! Tears of joy for Marta!!!!!! >great news! and appropriately my word verification is "atlast". we're so happy for your family! >we are sooooooooooo thrilled praise GOD, now go get that special daughter!!!!!!!!!!!!!! >Yay!! So thrilled to finally read this news. Have a wonderful trip! >YEA! Awesome!Safe travels & God Bless! >No words. Just happiness for your family. >PRAISE GOD FOR HE IS GOOD!!!!!!!!!!!!! Whoooo-hooooooo! Yipppeeeeee! So excited for y'all. >Tolo and congratulations! This is wonderful news! Not long now!!! >Just popping back in to celebrate some more! Drew and I toasted you and this MIRACLE tonight. Tigist says she wants to call Marta when she gets home to welcome her to America, so be sure to let us know when you're back in country. So so happy for you!!! >Praise the Lord for He is good!!!!!Yahoo. >YIPPEE!!!!!!!!!!!!!!!!!!!!!!!!!!!! How wonderful. Happy travels to all of you.